Hailing from the green hills and valleys of ‘Lawrence country’. Some say the these folks have spent too long in the woods drinking moonshine! Mean and moody, they can break your heart or skiffle you to submission with their octane fuelled drinking songs with a kind of “UpNoirthicana”. 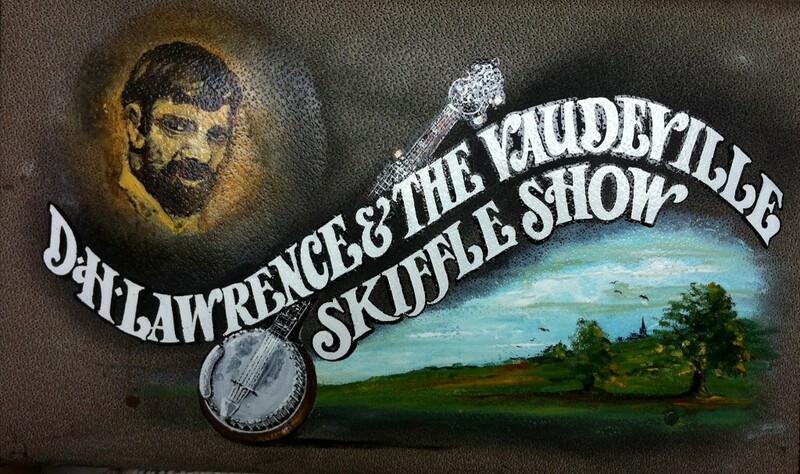 Dh Lawrence & The Vaudeville Skiffle Show write blend of psycho-skiiffle through to lo-fi Country/Folk. If they are not singing hanging songs in the darkness of the trees, then they’re picking mushrooms or elderberries and sloes to make ruby red liquour to help them through the deep darkness of winter . Light a candle, sip some moonshine liquour and enjoy!